Rye House Kart Raceway is one of the top rated kart tracks in the UK and is where many F1 stars started their racing careers, which can be seen in this recent BBC go karting feature with Lewis Hamilton. The circuit has capacity for up to 25 twin engine pro karts (capable of over 65mph) on track as well as a dedicated junior circuit for under 8s. The venue has good conference facilities and meeting rooms, cafe & bar as well as an excellent viewing area. There are a wide range of karting activities and races to choose from for groups and individuals and Rye track is easily accessible from the M25.What about this instead. Rye House Stadium is located in the eastern part of Hoddeston. It is most easily reached from the A10 ten miles north of the M25. Leave the A10 at the Hoddeston turn off. Turn towards Hoddeston at the roundabout at the top of the slip road. At the next roundabout turn left then right at the following one. Turn left at the 'T' junction at the end of the one-way section. Turn right at the mini roundabout and follow the road past a parade of shops, over a canal, a railway and river and just behind Rye's Pub is the Rye House Stadium complex. The circuit is beyond the stock car and greyhound track. A chance for parents and kids to drive together on the same circuit at the same time. This event will use the main circuit with adults and children both using single-engine karts. This event MUST have more juniors than adults taking part, the adult cost is £59.00 pp and this session is not available during busy periods. 30 minutes go karting followed by 30 minutes in the laser combat arena. An 'open' (non-exclusive) GP-style event where all drivers are guaranteed 3 x 10-lap qualifying heats then the top drivers go through to 2 x semi-finals and then a grand final. A thirty minute event including 10-minutes qualifying to determine your grid position with up to 26 karts in the race. A thirty minute event including 10-minutes qualifying to determine your grid position with up to 26 karts in the race. Please note that a minimum of 20 drivers are required for a weekend event and 10 drivers for a midweek race. 30 minutes laser combat plus 30 minutes karting. A one hour event including 15-minutes qualifying to determine your grid position with up to 25 karts in the race. A one-hour event including 15-minutes qualifying to determine your grid position with up to 25 karts in the race. Please note that a minimum of 20 drivers are required for a weekend event and 15 drivers for a midweek race. A one hour event including 15-minutes qualifying to determine your grid position with up to 26 karts in the race. This format is for TWO drivers sharing a kart in a team relay race. A one-hour team endurance event. 10-minutes qualifying to determine your grid position then a non-stop 60-minute relay event for teams of 2 to 4 drivers sharing a kart. A one-and-a-half-hour team endurance event. 15-minutes qualifying to determine your grid position then a non-stop 90-minute relay event for teams of 2 to 4 drivers sharing a kart. The facilities at Rye House are second to none; the perfect venue to hold corporate events, business functions or team development activity days. With a selection of go karting race formats to choose from, other activities including laser tag and miniature golf that can be included in your event. First class catering is also available and can include buffets, breakfast rolls, filled baguettes and BBQ food, as well as a licensed bar for apres race celebrations. A whole range of race formats and events are available for stag party groups at the Rye House circuit. With a fully licensed bar (for AFTER racing only!) 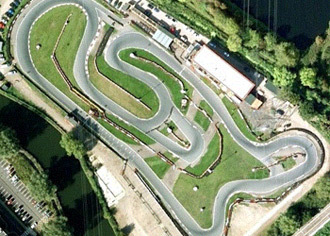 and fantastic facilities, including laser tag and mini golf, and due to its easy accessible location, Rye House is the track of choice for go karting in Essex, Kent and Hertfordshire, and is situated just a short distance from central London. Contact us with details of your expected numbers and age range of your group and we will provide you with an accurate estimate. Additional activities can be included in go karting party packages at Rye House including crazy golf, laser tag and food.